2 Beds 2 Baths 1,609 Sq. ft.
Nestled just off of PCH in the exclusive Villa Balboa gated complex, this newly remodeled OCEAN VIEW home offers it all! 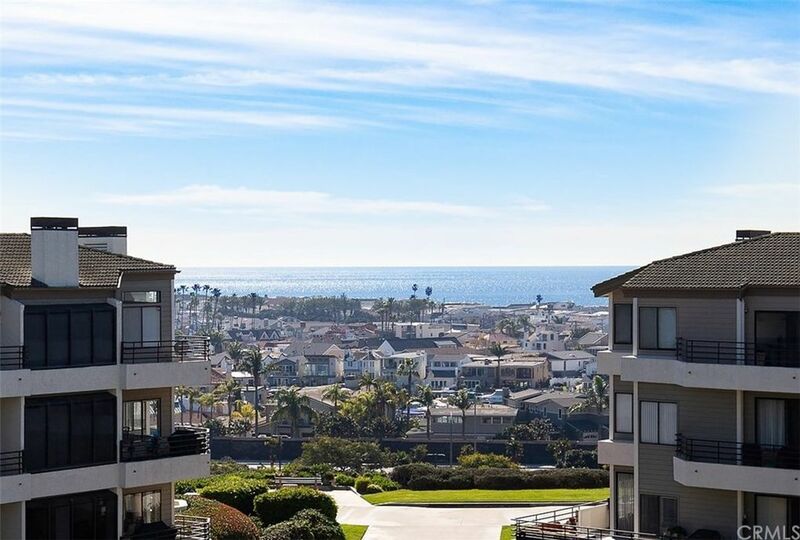 Just a short walk to world renowned beaches and ideally located just minutes from Fashion Island, shopping, superb dining and award winning schools. Perfect for the most discerning buyer, an extensive and complete remodel was recently completed using only the highest end finishes and materials. The gourmet kitchen is an entertainers dream with stunning high end Dekton Quartz counter tops with custom waterfall edge, custom glass tiled backsplash, new cabinets with custom pull outs, upgraded stainless appliances and under cabinet lighting. The home offers custom designer paint throughout along with LED recessed lighting, new dual pane Milgard sliders, automated Hunter Douglas window treatments, surround sound system, custom fireplace, new baseboards, designer carpet, cedar lined closets, custom frosted interior glass doors and so much more! Both bathrooms have been extensively remodeled with custom tiled walk in showers, quartz counter tops, TOTO toilets and custom tile flooring. This designer perfect home also offers a large covered balcony along with stunning ocean views from every room! Pool, spas, BBQ area, gym, tennis courts, recreation room and fantastic nearby parks round out the epitome of beach living! Directions: PCH/Superior Ave. to Nice Ln.